This statistic shows the leading countries in wine export worldwide in 2017, based on export volume. That year, United States exported about 3.3 million hectoliters of wine. 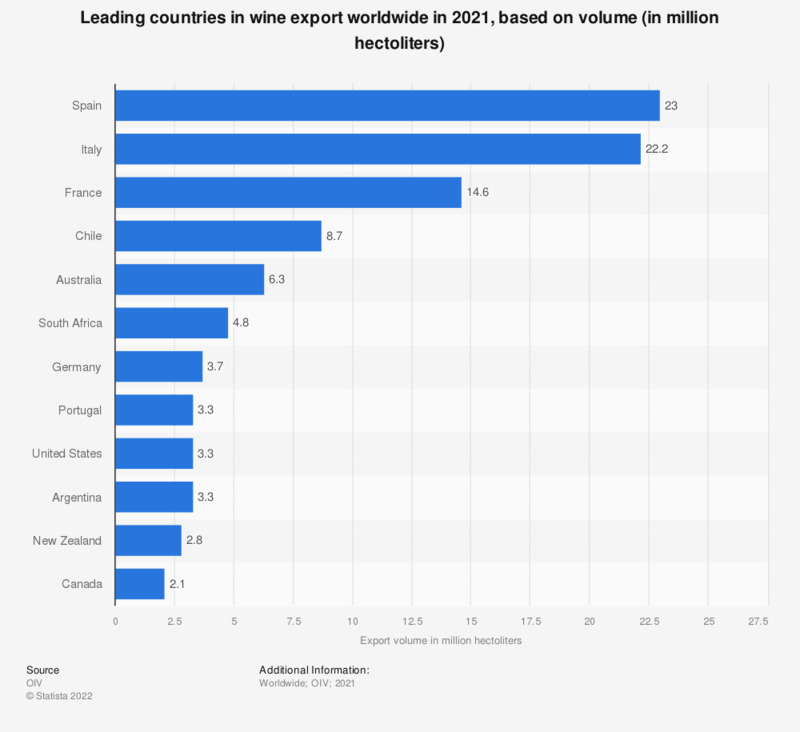 Spain, Italy and France were ranked as the leading wine exporting countries in 2017. Statistics on "Wine industry in Argentina"